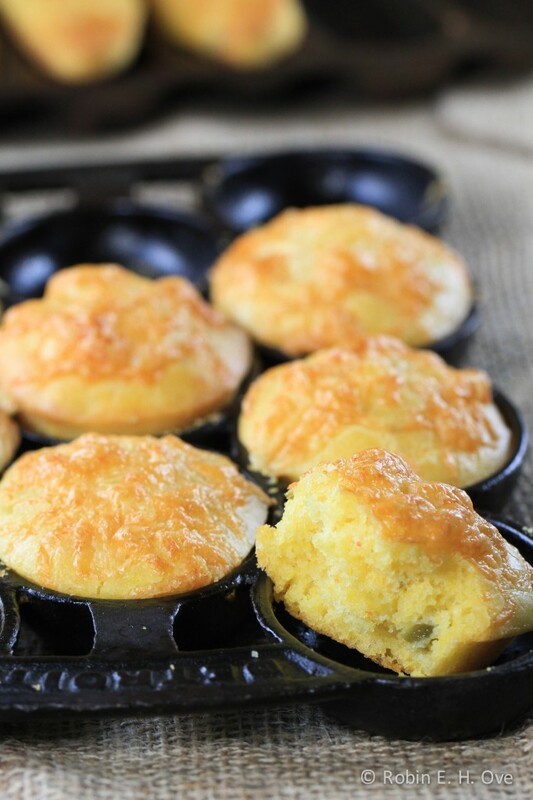 Pepperjack Cornbread Muffins - What about the food? Somewhere between 7,000 – 9,000 years ago in the in the Tehuacan Valley near current day Mexico City, Mexico a wild grass called teosinte was cross-pollinated by the winds and cultivated to create a dietary staple called maize by the Indians. Tribes migrated throughout the Americas, carrying maize with them and it was they who introduced it to Europeans a bit after a famous event in 1492. 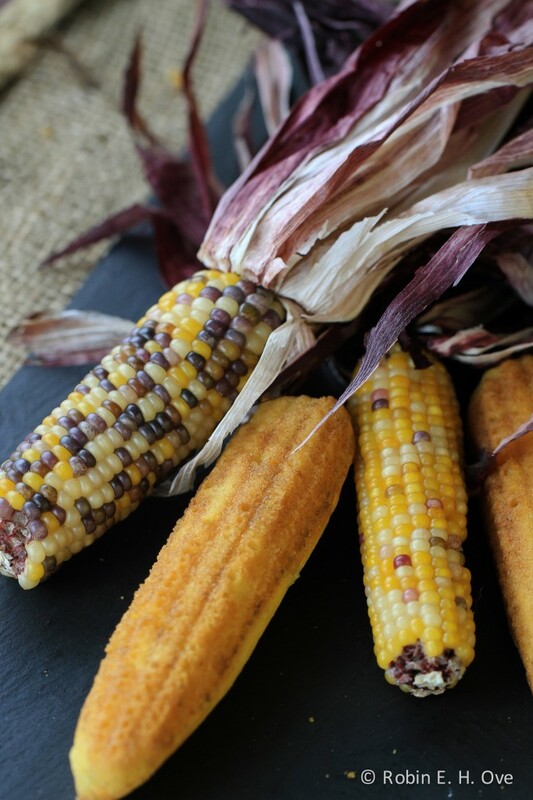 The practice of eating fresh corn roasted, boiled or popped is a ancient as grinding the dried kernels into meal and making a pudding or flat breads we know as tortillas. When the English hit our shores their own version of “hasty puddings” and corn breads were born. 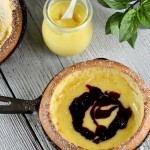 Running through the fabric of our lives, family recipes for johnnycakes, polenta, porridge, waffles, pancakes and corn breads provide a comfort and continuity. What would a pot of beans be without cornbread? A catfish fry without the crispy crust? 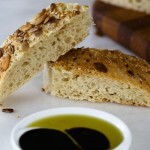 Would your pizza or sourdough release quite as nicely without the dusting of a bit or cornmeal? While my kids were growing up, they loved the cornbread more than the main course (as long as it was hot, with a crispy exterior and butter melting into the grainy, crumbly interior.) Better still with a drop or two of honey. 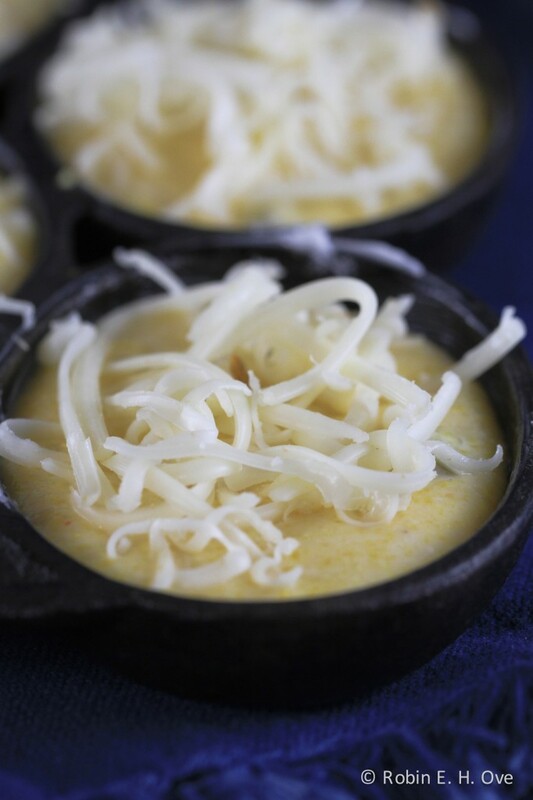 As a celebration of all things corn I offer a spicy update to traditional cornbread muffins, mixed with chopped homemade Pickled Peppers and topped with pepper jack cheese as my contribution to this month’s Monthly Mingle: Americana. 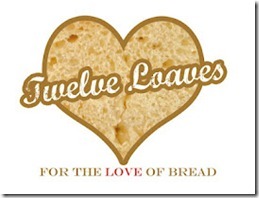 This also fits just right in the September challenge by Twelve Loaves Baking Society. I’ve always used the Albers Corn Bread recipe on the back of the box that is equal parts flour and corn meal. We prefer the resulting texture that is less than cakelike. 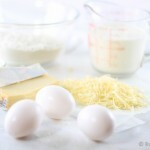 To this I added two tablespoons chopped peppers and a bit of of grated cheese to the top of the batter before baking. 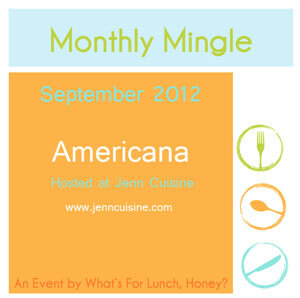 Monthly Mingle: Americana hosted by Jenn Oliver of jenncuisine.com and originated by My Monthly Mingle, Meeta at What’s for Lunch Honey? Oh yay, I was hoping someone would make cornbread!! Your version sounds awesome with the pepperjack – thanks for participating in Monthly Mingle! I was very happy to participate. This was a particularly fun Mingle. 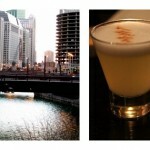 Thanks for hosting Jenn! Hi Tandy, it is a surprisingly easy recipe and you could use masa or polenta meal as it is just cornmeal anyway if Albers is not a available your way. A spot of honey. I hope you give it a try. 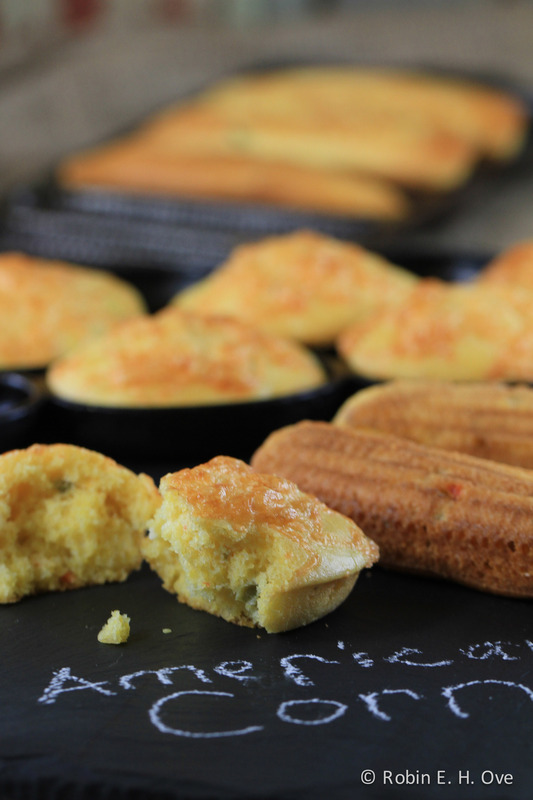 Your cornbread looks very light and fluffy – love the idea of cheese on the top, and I bet the pickled peppers (could I use store bought pickled jalapenos?) add a nice pop of flavour. Thanks for the ideas. OMG that looks so good! 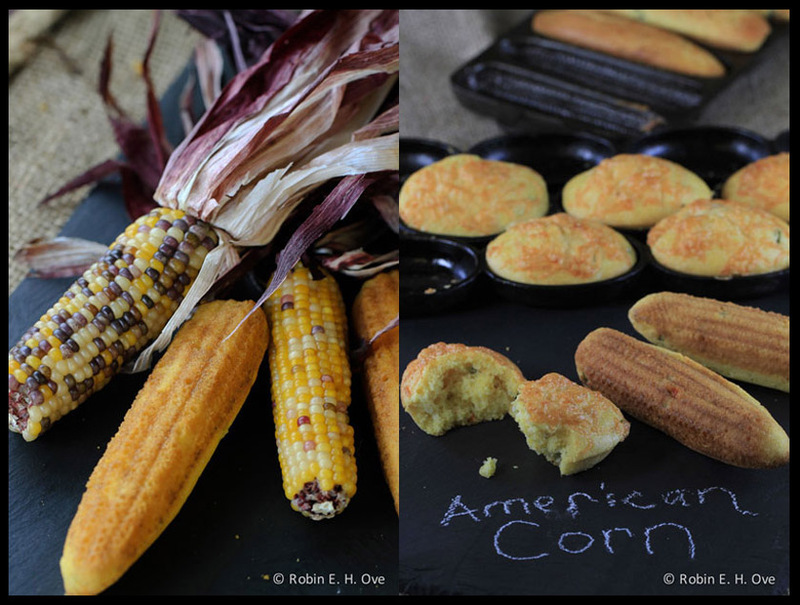 I love cornbread although I never make it… but this recipe reminds me that I really ought to give it a go for myself 🙂 Lovely shots!